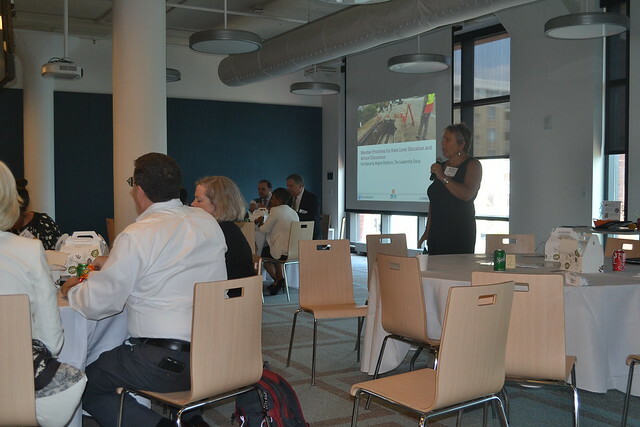 Jersey Water Works membership meeting attendees convened on July 25 to hear from inspiring speakers, engage in committee work and meet the members of the collaborative. Gov. 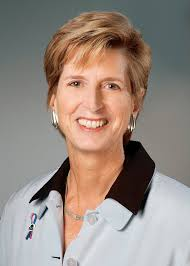 Christine Todd Whitman served in the cabinet of President George W. Bush as administrator of the Environmental Protection Agency from January of 2001 until June of 2003. She was the 50th governor of the State of New Jersey, serving as its first woman governor from 1994 until 2001. As governor, Christie Whitman earned praise from both Republicans and Democrats for her commitment to preserve a record amount of New Jersey land as permanent green space. She was also recognized by the Natural Resources Defense Council as having instituted the most comprehensive beach monitoring system in the nation. As EPA administrator, she promoted common-sense environmental improvements such as watershed-based water protection policies. She championed regulations requiring non-road diesel engines to reduce sulfur emissions by more than 95 percent. During her tenure, the agency was successful in passing and implementing landmark brownfields legislation to promote the redevelopment and reuse of previously contaminated industrial sites.